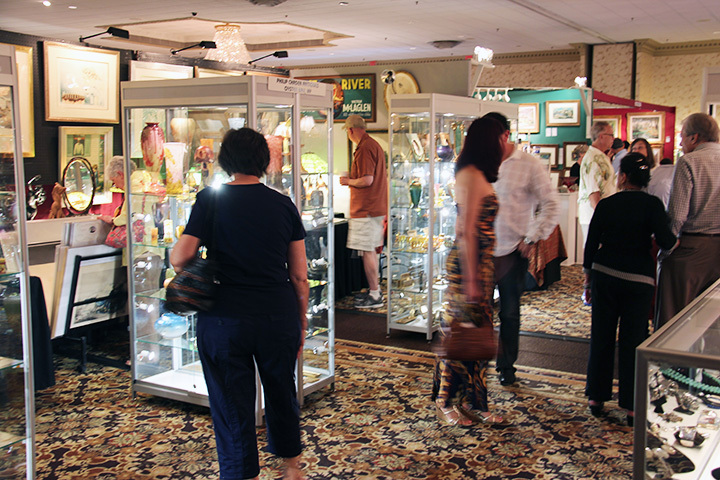 The Birchwood Manor Antiques Show was held this past weekend, July 27-28, 2013. Attendance was slow to moderate on Saturday, with few questions and only a couple of (decent) sales. It’s very tough to sit at a show for eight hours, with little to do. At least I got to take a short nap. Attendance improved considerably on Sunday, but not sales. The day ended with only one Sunday sale, for a total of only three sales, and a show rating of “fair” from me. I asked around and got the following feedback from some of the dealers — “Very respectable” from a dealer in Asian items; “mediocre and disappointing” from a dealer in general merchandise and art; “worst show I ever had here” from a dealer in general antiques; “good” from a dealer in art glass and watches; and “very good” from a dealer in art glass. There was no general consensus for the show, just the expected range from good to bad. 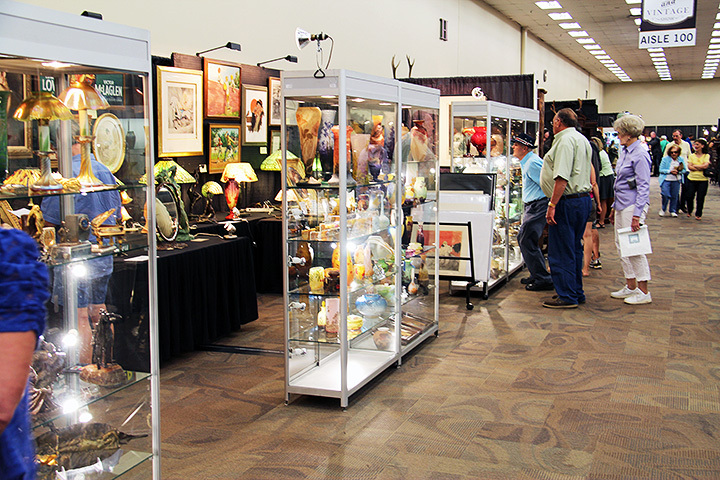 I never meant to ruffle any feathers when I last wrote about the Denver Antiques show in July of 2010, but apparently I did. I got word that several people were angry with me and wanted to know why I was exhibiting again in Denver, when they thought I wrote disparagingly about the show three years ago. First and foremost, I write honestly about shows, whether the news is good or bad. I never intend to harm other dealers or show promoters, but it’s possible the truth may hurt. Sorry, but I won’t do it another way. Now for the show at hand. 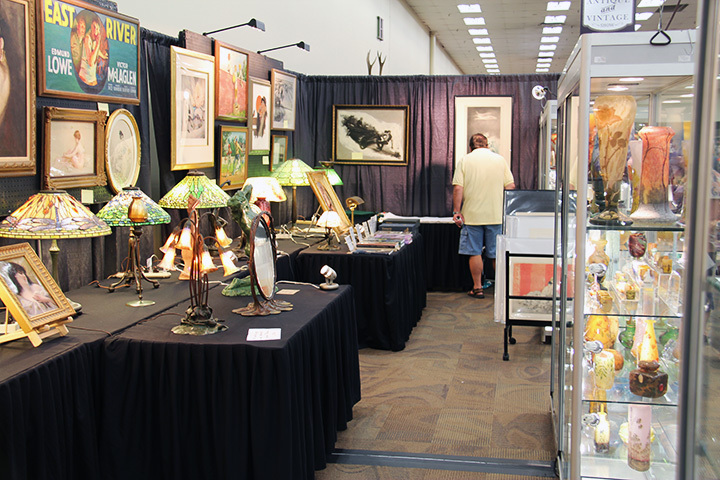 The Denver World Wide Antique & Vintage Show was held this past weekend, July 19-21, 2013. Attendance was light on Friday and Saturday, with a few small sales to the public and a few sales to dealers on the floor. Sales to other dealers exceeded sales to the public, which was a rarity in my booth. Sunday continued with light attendance and no sales to the public. I did make one sale to another dealer on the floor of the show, making this the first time in 40 years where I sold more to dealers on the floor than the public. In asking around at the show, I got the following responses from other dealers to the question “How did you do?”. “Killer” was the response from a dealer in jewelry and assorted items; “Great” from a dealer in bronzes, china and assorted; “AOK” from a dealer in art glass; “Terrible” from a dealer in silver and cut glass; “Mediocre” from a dealer in art pottery; “Quite well” from a dealer in bronze, 19th century and assorted; “Horrible” from a dealer in furniture; “OK” from a dealer in art glass and watches; “Pretty good” from a jewelry dealer who’s done the show for years; and finally “Fair” from me. The jury is still out as to whether we’ll exhibit again in Denver. If we can work it out geographically with another show the week before or after, we might try it again. We haven’t exhibited in Denver for the last three years, as we didn’t sell enough to justify the expenses of traveling from New York. A fellow dealer, Loretta Gosse, encouraged me to try the show again, as the show was sold to new owners. Most shows improve under new owners, usually with better promotion. Loretta told me the last show, under the new promoters, was excellent, so we decided to exhibit in Denver one more time. Hopefully we’ll do well and return next year. Tune in Monday for the results. Most dealers seemed quite upbeat. They told me of good results at recent shows, both in Denver, Kansas City and elsewhere. Good advertising and promotion can do the trick of attracting more and better buyers to a show, so everyone benefits. It creates a virtuous circle, where a show gets better each year. The show is already larger than three years ago, and that’s a very good sign. This will be our first show since the spring, when we exhibited at the Merchandise Mart in Chicago. In the meantime, we’ve been traveling and buying everywhere. 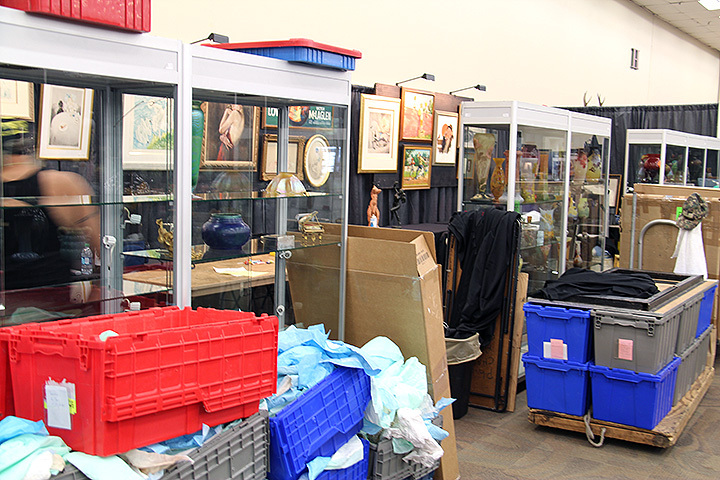 There are so many new items in our inventory, you’ll have trouble recognizing our booth (not really). If you’re in the area, please try to visit the show. It’s much improved and worth your while. 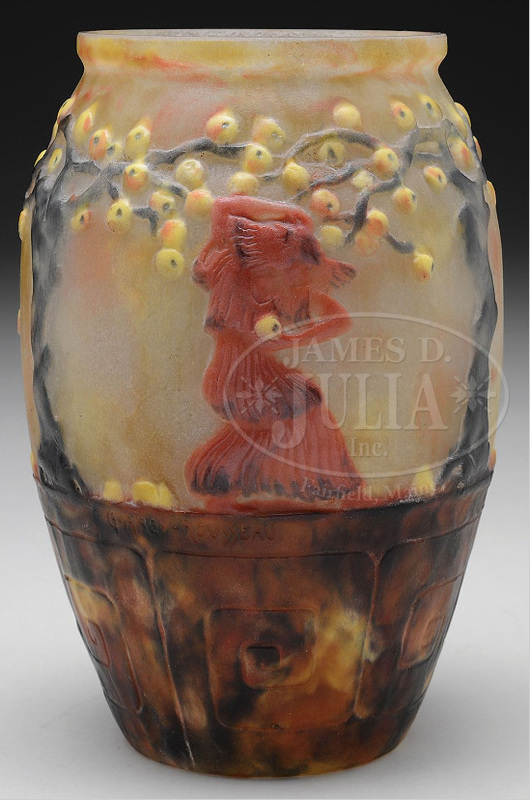 James D. Julia, Inc. held their Important Lamp & Glass Auction, June 19-20, 2013, with sales totaling over $2.1 million. The results were mixed, with some categories outperforming others. 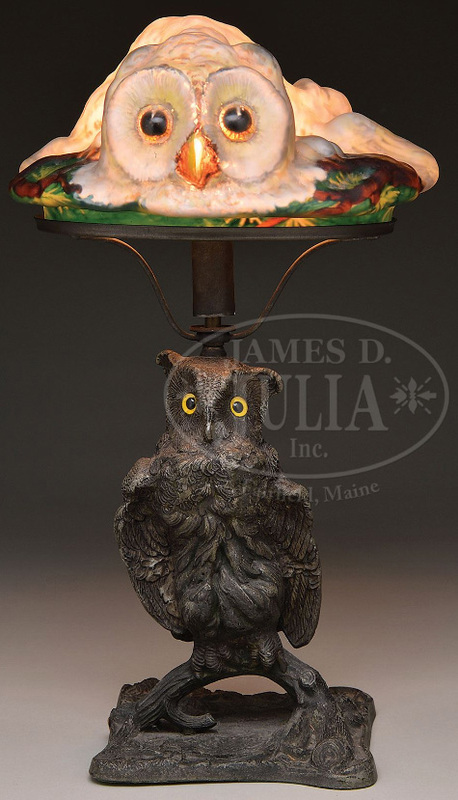 A rare Pairpoint puffy owl table lamp, selling as lot #2086, sold above its high estimate of $60,000, reaching $77,025, including buyer’s premium. It was fresh to the market and only the eighth known example. While French glass in general wasn’t strong at the sale, there were some items that did very well. 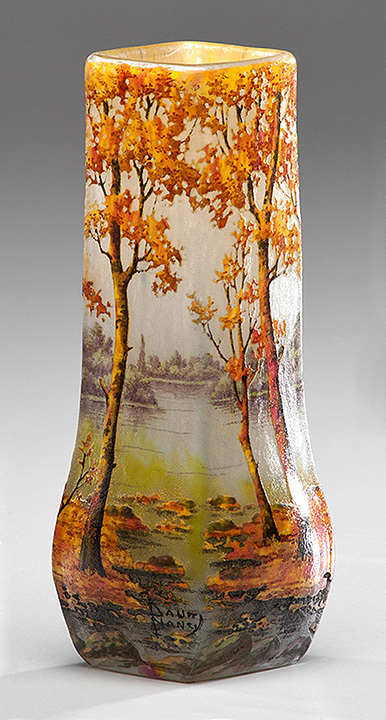 Lot #2054 was a Gallé marquetry vase that was estimated to sell for $14,000 – $16,000. It handily exceeded its high estimate, to sell for $21,330, including buyer’s premium. Julia’s offered a very nice selection of fine French pâte-de-verre items by Argy-Rousseau and A. Walter. Of this group, an Argy-Rousseau vase, The Apple Picker, did best. Selling as lot #2283, it easily exceeded its pre-sale estimate of $8,000 – $12,000, realizing $18,960. 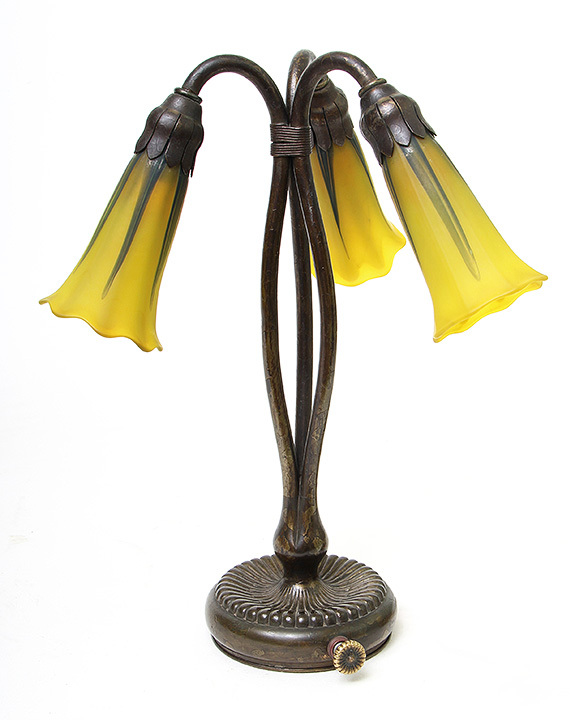 The top Tiffany Studios lot of the sale was #2481, a 24″ diameter Curtain Border chandelier. It more than doubled its high estimate of $30,000, realizing $77,025. For the complete results of session 2, click here. You will have to sign it to see the prices. 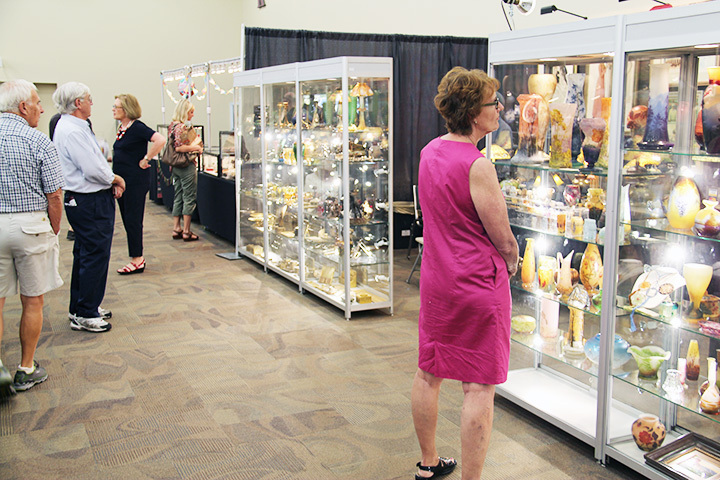 The summer antiques shows are almost upon us, with Denver first. We gave up on Denver a few years ago, but were convinced to try it again, since the show is under new management. Hopefully it will be better this time around, so we can look forward to returning the following year. 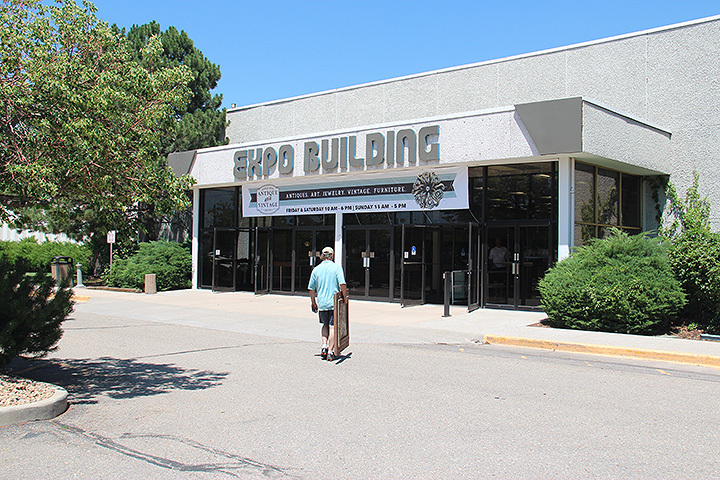 The show will be held at the Denver Mart, beginning on Friday, July 19 at 10 AM and ending on Sunday, July 21, at 5 PM. Please visit us in booth 107 and take a look at our spectacular new purchases, accumulated from around the world. 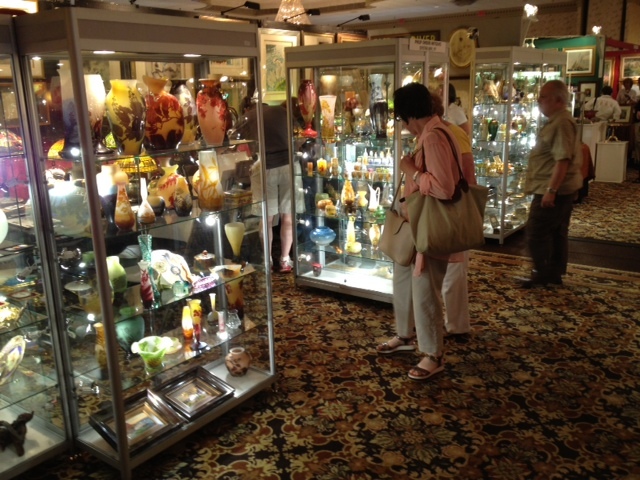 The following week, we will exhibit locally in the New York area, at the Birchwood Manor in Whippany, NJ. It’s a short, weekend show, July 27-28. The quality is very good for a small show. Some years it’s gone very well and others not. We’ll see what’s in store for us this year. August’s shows have a better track record. 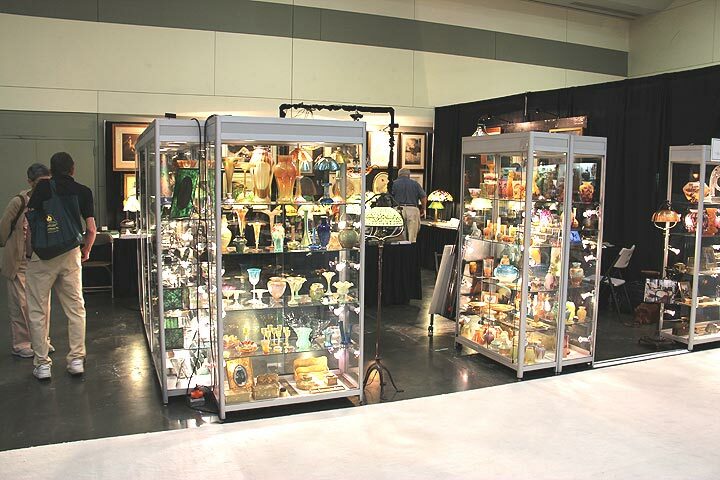 First we’ll be in Rosemont, IL, for the Chicago Summer Antiques Show at the Rosemont Convention Center, August 16-18. It’s a small, but good quality show. We always look forward to Chicago, as we have many good friends and clients in the area. We’ll no longer exhibit at Arlington Racetrack, if there is another show there (and that’s in doubt). That increases the importance of our other shows in the greater Chicago area. The last show of the summer is also the best. The Baltimore Summer Antiques Show has been slowly evolving, first under the stewardship of the former promoter, Frank Farbenbloom, and now under the ownership of the Palm Beach Show Group. Every year, incrementally, the show has gotten better, with higher quality exhibitors, increased attendance, and stronger sales. In my opinion, it’s now one of the two best antiques shows of the year, competing only with the Original Miami Beach Antiques Show in January. Make your travel plans now and join buyers who drive and fly in from all over the US, Canada, Europe and Asia. Then stop by my booth to say hi. Coming from a scientific background, I was acutely aware of the significance of the discovery of DNA’s double helix structure. The names Watson and Crick were emblazoned in my mind, alongside the likes of other famous scientists like Newton, Darwin and Einstein. 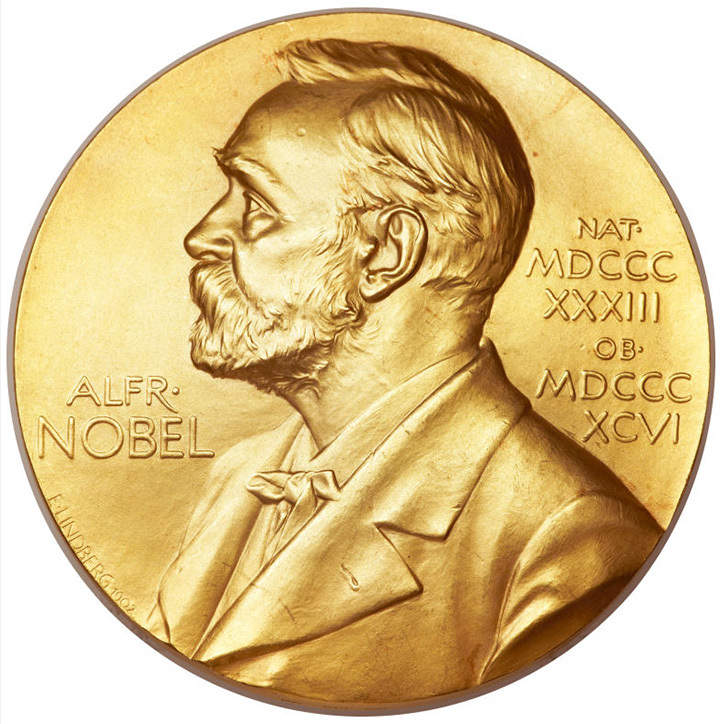 So it was with great curiosity that I followed the auction of the Nobel Prize medal won by Dr. Francis Crick for his share of the discovery. 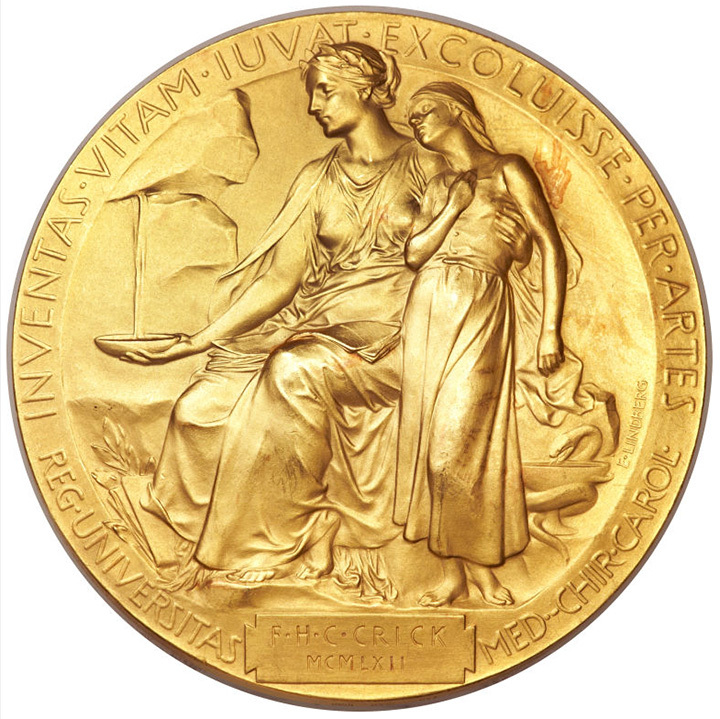 Heritage Auction included the 23K solid gold medal in its Manuscripts Signature Auction in New York on April 11, 2013. The auction house estimated the medal could sell for up to $500,000, but it soon became clear that price would be left in the dust. Selling as lot #34001, it soared to $2,270,500, including buyer’s premium. The winner was businessman Jack Wang, of Biomobie, a biomedical company with offices in California and China. He flew into New York to attend the auction. 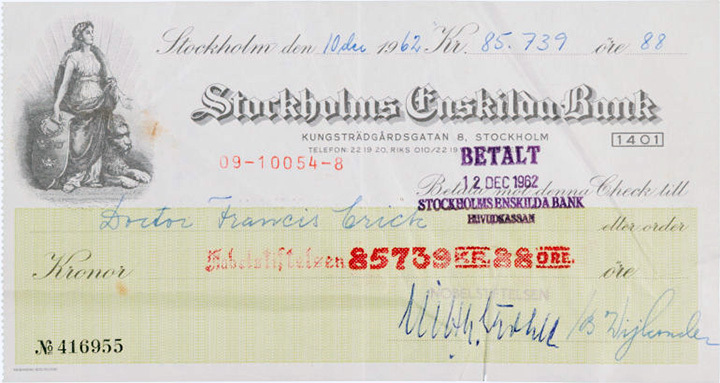 The family of Dr. Crick had consigned the medal, along with ten other lots, including Dr. Crick’s endorsed Nobel prize check for 85,739.88 Swedish Kroner. It sold as lot #34002 for $77,675. 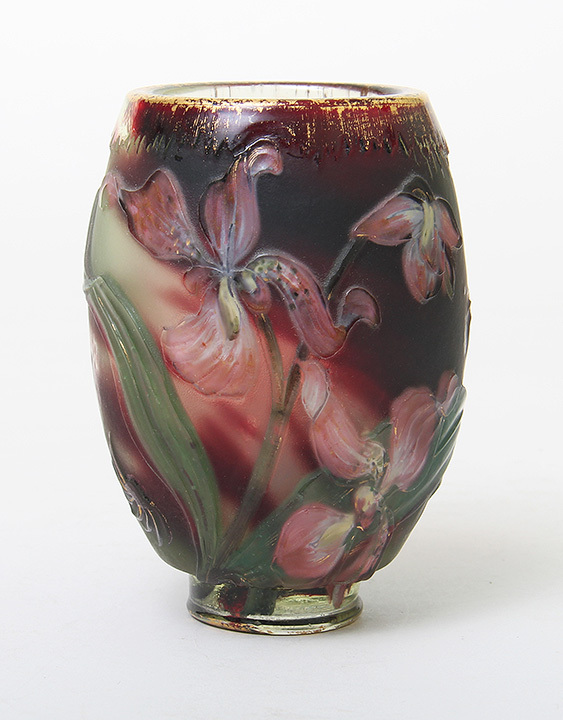 Bonham’s was the third of the major auction houses to hold its June 20th Century sale, with fair results. Some categories did well, while others faltered. 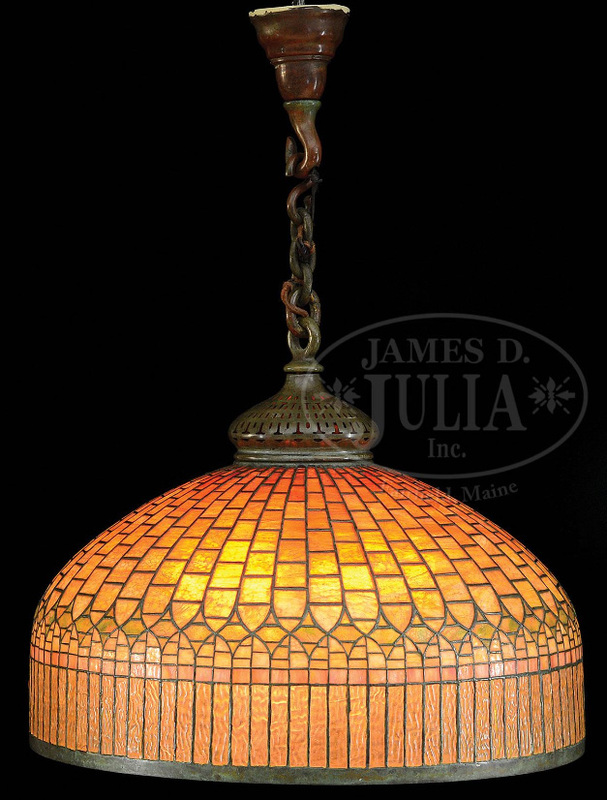 Lot #1037 was a large, 30″ diameter, Favrile glass and bronze Turtleback tile chandelier, perfect for an Arts & Crafts home. It sold within the estimate of $50,000 – $70,000, realizing $68,500, including buyer’s premium. 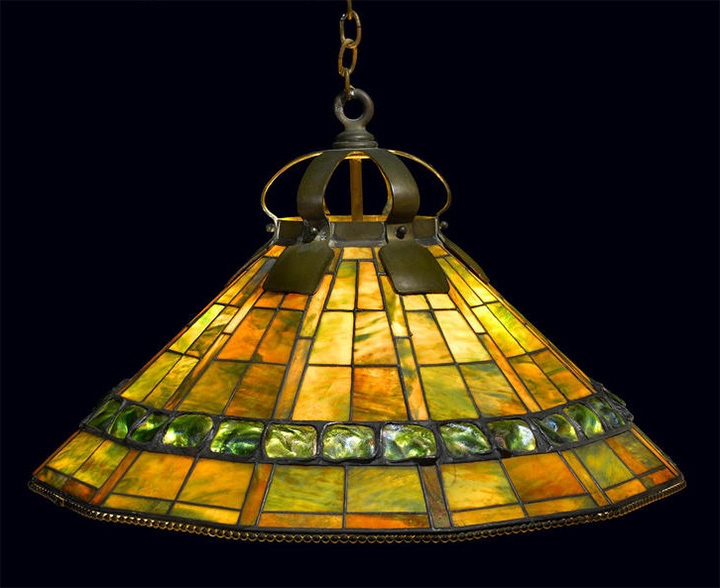 A number of the Tiffany Studios items, of the relatively small selection, did not sell, mostly because the estimates were too aggressive. 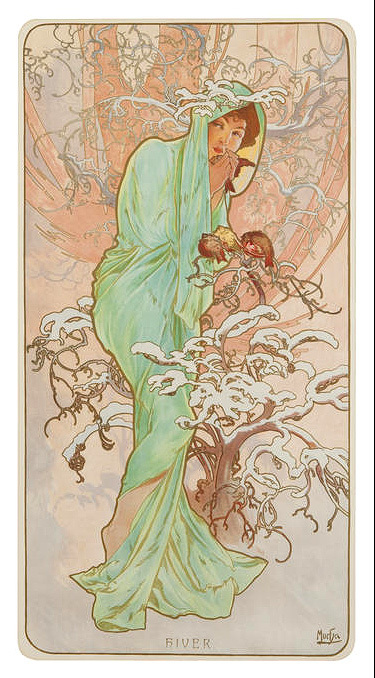 Mucha lithographs had a good day, with many selling within or above their pre-sale estimates. The highest price of the Mucha selection was realized by an 1896 set of the Four Seasons. 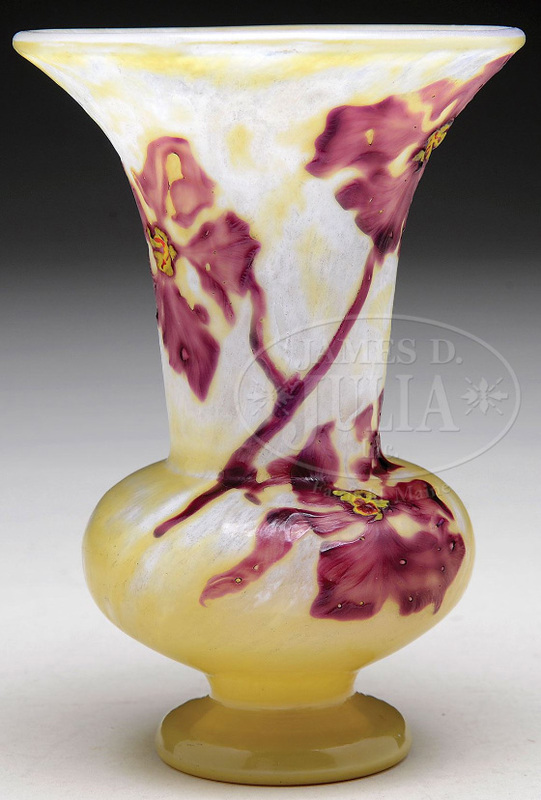 Selling as lot #1056, they reached the low estimate, $62,500. 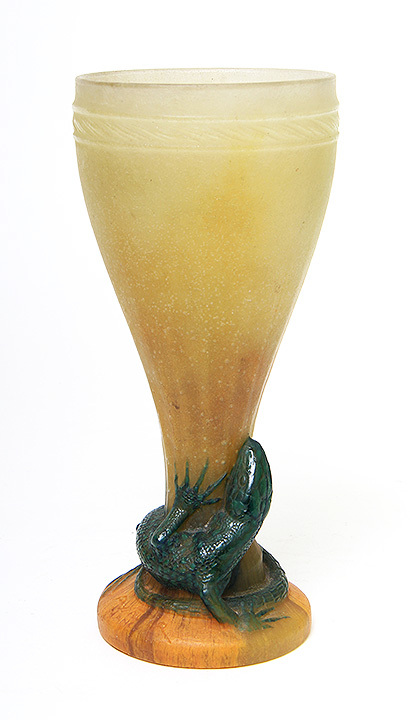 Most of the small selection of French cameo glass items sold within their pre-sale estimates. 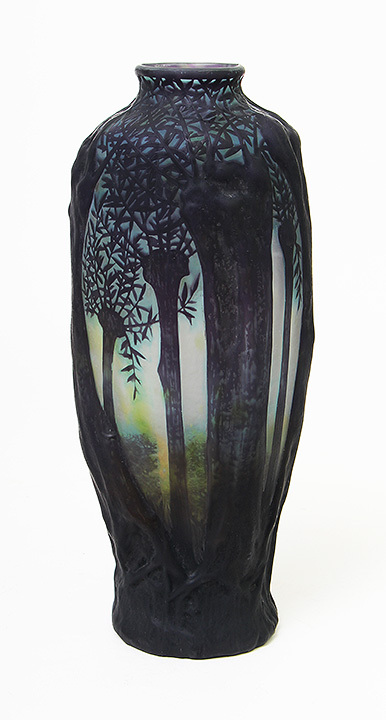 Lot #1069 was a huge, 21″ tall, acid-etched and enameled Daum Nancy lake and flower vase. 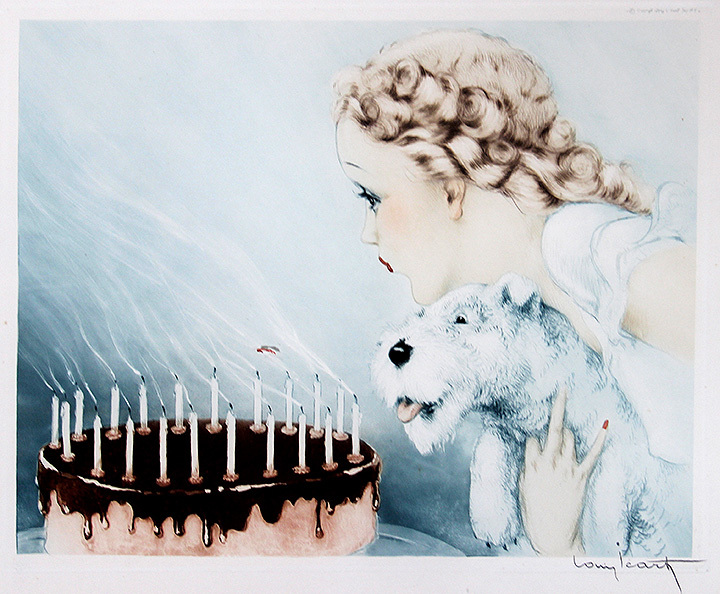 It sold just below it’s low estimate, realizing $8,125.